Your tour includes a "back room" look at how beer is made. You'll have plenty of time to sample a wide variety of brews at each stop. We'll supply some shared appetizers at one stop, and you'll be welcome to purchase additional food as well. 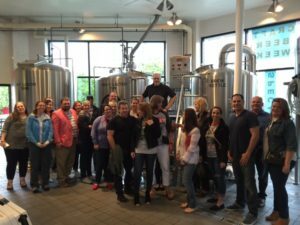 Beginning in March, we'll be adding our popular Music City Beer Hop tour to the public calendar on a regular basis! 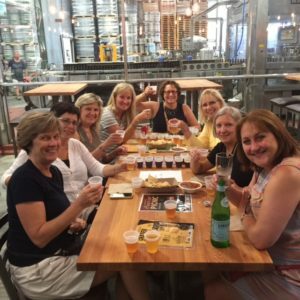 We've enjoyed sharing some of Nashville's BEST craft beers with private groups and look forward to plenty more of that, but we also know that sometimes you just want to hang out with your bestie or make a few new friends over a brew. So, we'll be offering weekly tours, every Thursday ad Saturday for you to join. Each of the public tours will feature three of our favorite breweries, with 4 to 6 tastings provided at each. 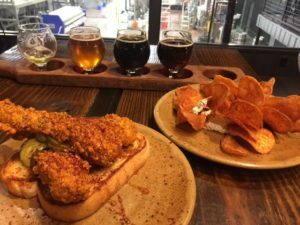 You'll also get at least one brewery production tour, some interesting local and beer-centric history, and appetizers at one of the breweries as well as snacks provided on the van. We'll stay at each one long enough that you can pick up another pint on your own if you like, order some food, and generally relax with some friends and delicious libations. The public tours are van-based, limited to no more than 14 guests, and we start from our studio, at the corner of 3rd Ave N and Harrison Street. We'll drop you off at the nearby Farmer's Market afterward, or, you're welcome to stay for as long as you like at our last tour stop. 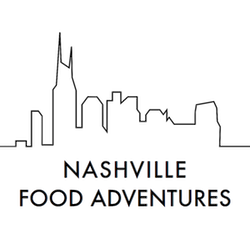 To join one of our tours, visit our calendar, or to schedule a private tour for your group, just complete our contact form. We can't wait to raise a glass with you! Side note: It's all about having some fun, but not about OVER embibing! If you look like you've had enough, we may ask you to slow down or step off the tour, and if you arrive to the tour having already met your limit, we also may refuse to bring you along. Just sayin'. We're looking forward to a great time sharing some very unique beers and breweries with you!